Visitors to Wales can now plan a personalised trip based around their favourite books and legends. Unusual and unexpected stories about pirates, rebels, smugglers and lost lovers – as well as Wales’ connections to some of the world’s most beloved books – are all being brought together in one place online for the very first time, through a partner project led by Literature Wales. 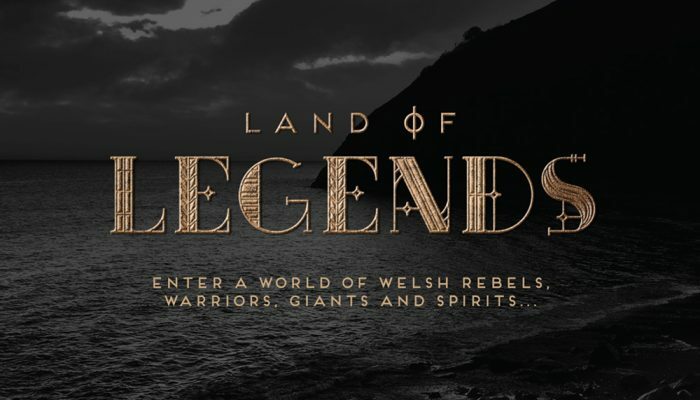 Showcasing the best of Welsh literature, culture, and myths right in the places which created and inspired them, Land of Legends will take visitors on magical journeys to the heart of the stories and characters which made Wales. The Alice in Wonderland trail in Llandudno, the dramatic industrial landscape of the Valleys, and the vampire chairs of Llantwit Major, are a handful of the hundreds of literary attractions mapped through the new ‘Land of Legends’ website. Working in partnership with National Trust Wales, Amgueddfa Cymru – National Museum Wales and Snowdonia, Pembrokeshire Coast and Brecon Beacons National Park Authorities, the new story map of Wales will get visitors on bespoke days out to hidden treasures and popular landmarks, based on their choices of haunted castles, fearless warrior princesses and mysterious monsters. Visitors can browse the map, selecting places based on their hobbies and interests. Once they’re happy with their selection; ranging from ruined churches to secret coves, woodland trails, pubs and majestic mountains; they’ll be sent their very own itinerary by email – creating a unique literary adventure every time. Watery Worlds covers waterfalls, caves, lakes and waves; Battles looks at warriors, warfare, castles and kingdoms; while Living Language explores Welsh and national identity. Folklore & Tradition highlights weird and wonderful Welsh myths; Sacred & Spiritual Landscapes introduces pagans and pilgrimages; King Arthur uncovers Merlin, dragons and the sword in the stone; while Childhood tells fantastical family tales from Wales. A Ghosts section reveals spooky haunts and tales of the otherworld; Boots & Bread tackles industrial heritage and hardship; while Rebels unearths Wales’ outlaws, rioters and uprisings. Artist Pete Fowler, best-known for Super Furry Animals’ most iconic album covers, has created a series of evocative illustrations for each theme and a map which is used on the website. At Dinas Mawddwy in mid Wales, tourists will learn about the charged adolescent jealousy behind Alan Garner’s prize-winning 1967 fantasy novel, The Owl Service, along with the Red Bandits of Mawddwy, a band of 16th century red-haired highwaymen who became famous in folk literature. The website also tells visitors all they need to know about following the Roald Dahl trail in Cardiff — from the waterside Croc in the Dock art installation based on The Enormous Crocodile, to the pretty Norwegian Church where he was baptized, the sweet shop where he instigated The Great Mouse Plot, and the majestic Llandaff Cathedral in the village where he was schooled. “Wales is a walk-in storybook, with a tale in every corner, and a sense of place is important to many of our writers. This new resource will allow everyone who visits Wales to take their own literary trail and discover something new about our country. “This year celebrates Visit Wales’ Year of Legends and Visit Britain’s Year of Literary Heroes, so what better time for visitors to design their own literary trails through Wales. The project has been supported by the Welsh Government through the Visit Wales Tourism Product Innovation Fund in support of Year of Legends 2017.